New York Times editorial board endorses John Kasich, Hillary Clinton. 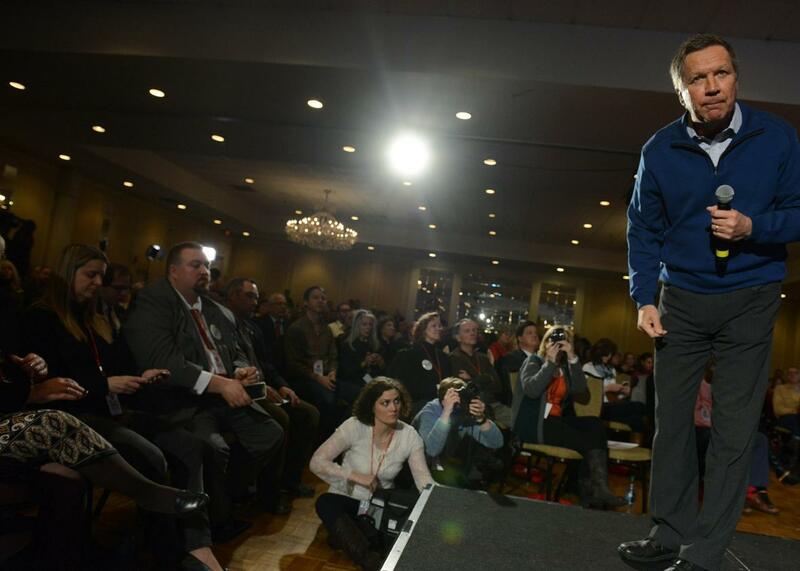 Republican presidential candidate John Kasich speaks at the NHGOP First in The Nation Town Hall on Jan. 23, 2016 in Nashua, New Hampshire. The two front-runners in the Republican contest are a disgrace, the board essentially implies. Donald Trump “invents his positions as he goes along” and is surprisingly candid about how he underestimates his supporters. Clinton gives Democrats a chance to “present a vision for America that is radically different from the one that leading Republican candidates offer,” writes the board. The paper made its endorsement as Iowa gets ready to hold the first nominating contest for the general election that will take place on Nov. 8. Last week, the Des Moines Register endorsed Clinton and Florida Sen. Marco Rubio.